Meaningful Jewish living and learning in an open-minded, egalitarian community. At the Ansche Chesed Hebrew School, learners are on a path toward bringing Torah into their lives. We help children discover their spirituality, learn to live the rhythms of Jewish life, discover themselves as members of the Jewish people, and become ansche chesed, people of kindness. Students study Torah; Israel; the Jewish life cycle and calendar; Jewish values, history and identity; mitzvot (commandments); and Hebrew. Creative, dedicated and experienced teachers instruct through lessons infused with music, art, acting, and movement. The curriculum has many special programs and features, including student-generated projects that focus on gemilut chasadim (acts of loving-kindness) and tzedakah (acts of generosity); weekly time set aside for tefillah (prayer) and kehillah (community); family programs; and Shabbat experiences with the Ansche Chesed community. ACHS Calendar: Click here to download for 2018-2019. Recordings: We approach learning with an eye toward how it can enrich our Jewish lives both in the synagogue and at home. Among these recordings by Hazzan Natasha Hirschhorn you will find joyous music that guides Shabbat and holiday celebrations, including tunes for blessing the Shabbat candles, saying kiddush and havdalah, and more. Please Note: This schedule does not reflect scholarships for which your child/children may be eligible. *Preference for Tuesday Alef and Thursday Bet classes will go first to students who have older siblings enrolled in Tuesday or Thursday ACHS classes. If space remains, preference will then go to other Ansche Chesed members. Because formal Hebrew school is not right for every child or every family, Ansche Chesed offers Derech Chesed (the path of kindness), a personalized program of Jewish learning for students in Grades K-5. Derech Chesed helps children and families create meaningful Jewish experiences within the Ansche Chesed community but outside of the bounds of traditional Hebrew school. With the help of a madrich (guide or tutor) with whom each Derech Chesed student meets each week, students develop individualized learning plans that address their interests and complement their families’ Jewish practices. Madrichim meet with students in at home, involving other members of the family whenever possible. Derech Chesed students come together with the other Ansche Chesed Hebrew School students during community holiday celebrations. Developed for students with significant learning challenges, developmental issues such as autism or other issues affecting learning and peer interaction, Matan (giving) creates a nurturing learning environment and offers an opportunity for students to interact with their peers in the Hebrew school. The Matan curriculum offers foundational Jewish learning and a shared Jewish experience, cultivating a positive Jewish identity and a connection to the Ansche Chesed community. Small classes of modest length; hands-on, multi-sensory instruction; and social-skills enhancement work together to create a supportive learning environment. 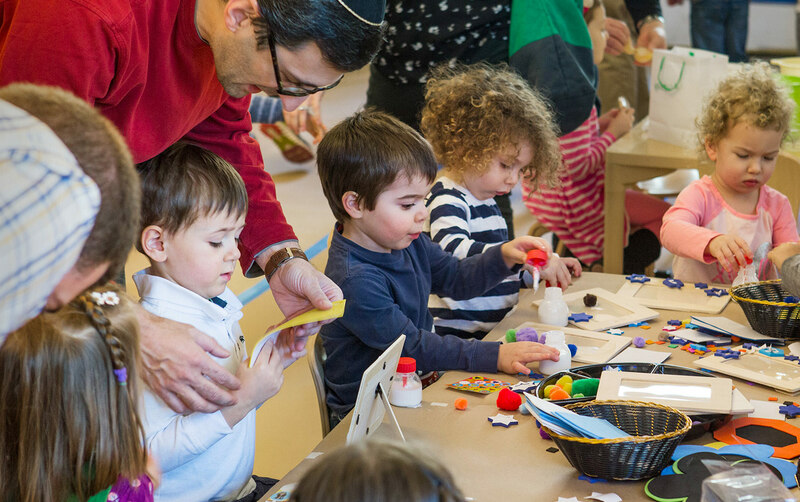 Membership: The Ansche Chesed Hebrew School is open to children in Pre-K–Grade 2 regardless of whether their families are members of Ansche Chesed. Families with children entering Grade 3 and above must be members in good standing of AnscheChesed in order to enroll their children. Information on membership can be found on our membership page. 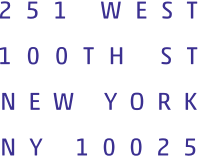 Consultation: To discuss which class or program is right for your child, please contact Rabbi Yael Hammerman, Associate Rabbi (RabbiYael@anschechesed.org, 212.865.0600 ext. 208). Tuition and Class Schedule: For the current year’s Tuition and Class Schedule, please see below. Application Form: To enroll your child in an Ansche Chesed Hebrew School program, please complete the online application or print and complete the print version and return it to Rabbi Yael Hammerman, Director of Congregational Learning, Ansche Chesed, 251 West 100th Street, New York, NY 10025. Financial Need: We do not turn away students because of financial need. To discuss the possibility of a scholarship, please contact Ansche Chesed Executive Director Josh Hanft (JHanft@anschechesed.org, 212-865-0600 x 209).